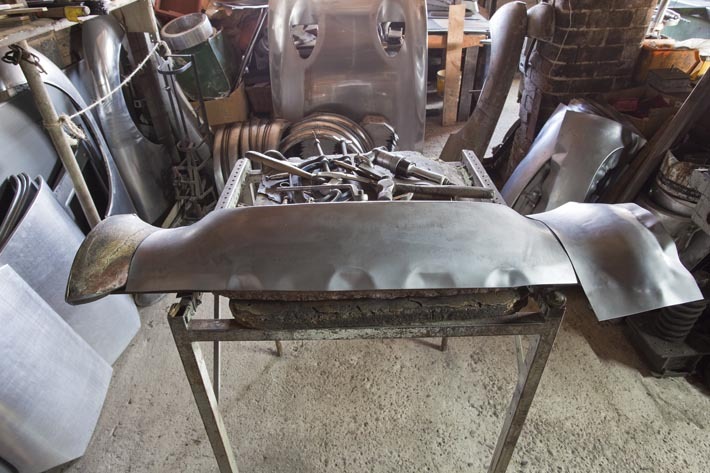 Wheeler and Davies first began restoring Austin-Healeys in the late seventies when the standard of restorations did not always meet customer expectations. The quality and fit of many available panels was also found to be inadequate. 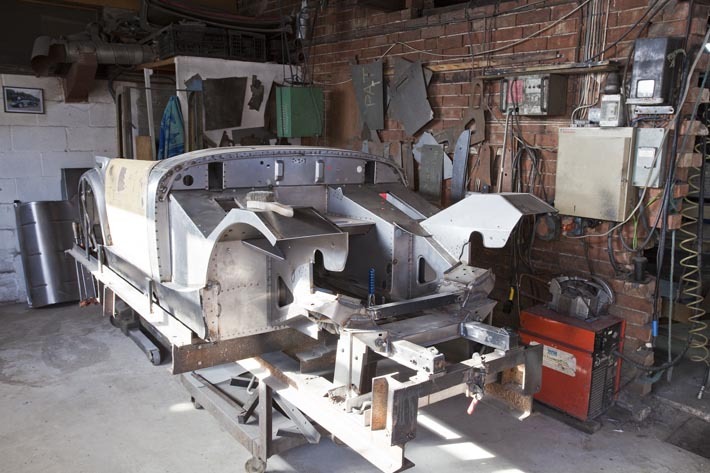 Brian Wheeler’s answer to this was to take patterns from original BMC panels and start production of parts that he knew would fit, mainly for the MK1 Sprite. 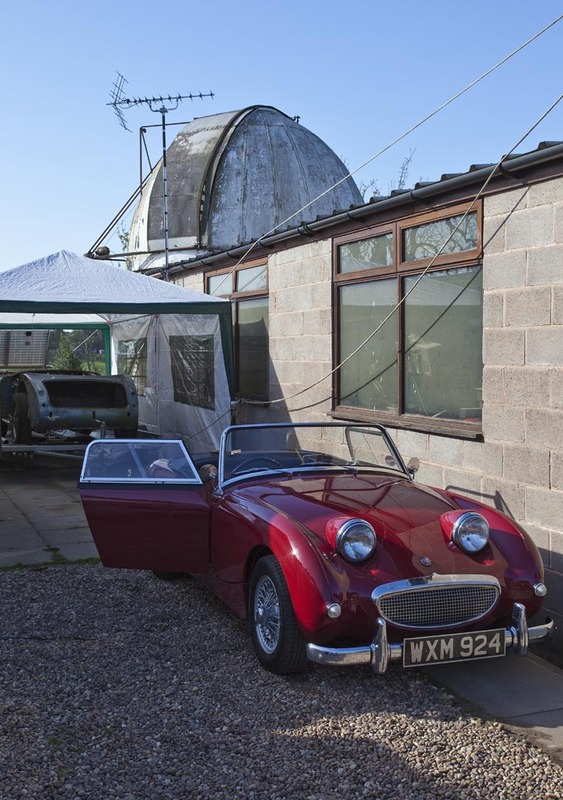 The rest, as they say, is history as Brian has gained a reputation for quality and accuracy, and supplies major Austin Healey suppliers and restorers in the UK and worldwide. This was an opportunity to see Brian’s work ‘in action’ and hear in more detail how he has developed and added to his panel list over the years. Although he still does restorations, panel production is a major part of his business and his knowledge and expertise is immense. The Wheeler Observatory. Brian’s other passion is astronomy. Inside this observatory is a telescope on a computer controlled platform to compensate for the earth’s rotation; all designed built, and programmed by Brian. In the background is Brian’s personal project, the rebuilding of his long time 100-6. 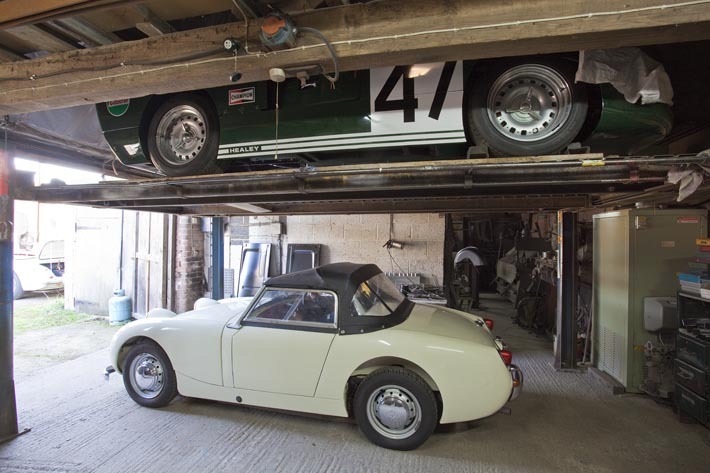 In the garage, Brian’s faithful replica of the Healey SR as raced at Le Mans. Frog Eye panels in production and the assembly of a complete shell.